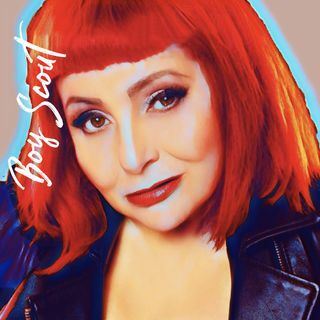 Penny Arcade, aka Susana Ventura, is an international cultural icon, revered as a performer, poet, writer, and actress who speaks truth to power. Innovative, charismatic and magnetic, she has brought experimental theatre to mainstream audiences and influenced generations of artists around the world. She occupies a rare position in the American avant-garde, though her long association with the architects of the counter culture from Andy Warhol to John Vaccaro, Jack Smith, Judith Malina, Jonas ... Maggiori informazioni Mekas, Charles Henri Ford, H.M. Koutoukas, Charles Ludlam and Tom O’Horgan. At 18, she debuted in John Vaccaro's explosive Playhouse of the Ridiculous, New York's legendary glitter/glam, rock'n'roll, seminal queer political theatre. At 19 she was a superstar for Andy Warhol's Factory featured in the Warhol/Morrissey comedy Women in Revolt. An independent artist for almost 50 years, she preserves the ethos of 1960's experimental theatre. She is the author of over ten full-length performance plays and hundreds of solo performance art pieces on racism and homophobia, feminism, the death of bohemia, the commodification of rebellion, the erasure of history, the loss of empathy and cultural amnesia. Boy Scout talked to Arcade about libraries, lineage and limelight.